With their near vertical drop and gorgeous scenery, cliffs have attracted travelers and adrenaline seekers for hundreds of years. Here is a list of some of the most spectacular cliffs in the world. 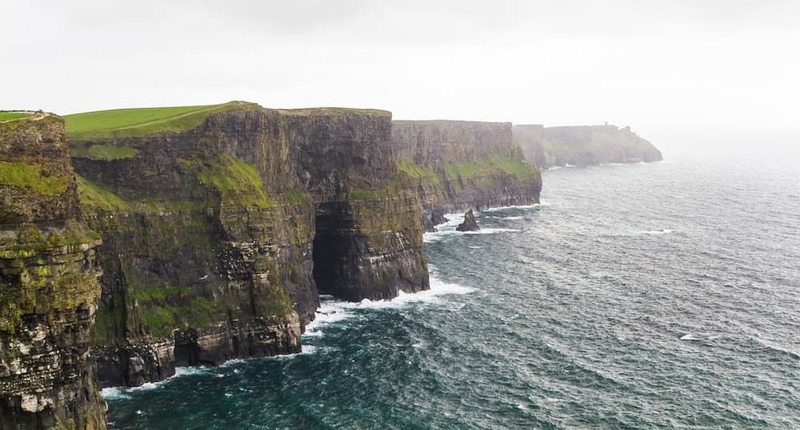 The Cliffs of Moher are amongst the most impressive coastlines in the world, and are widely considered to be one of Ireland’s top tourist attractions, drawing almost one million visitors each year. The spectacular cliffs rise 120 meters (394 ft) above the Atlantic Ocean at Hag’s Head, and reach their maximum height of 214 meters (702 ft) just north of O’Brien’s Tower, eight kilometers away. The Twelve Apostles is a collection of limestone stacks off the shore of the Port Campbell National Park, by the Great Ocean Road in Victoria, Australia. Their proximity to one another has made the site a popular tourist attraction. 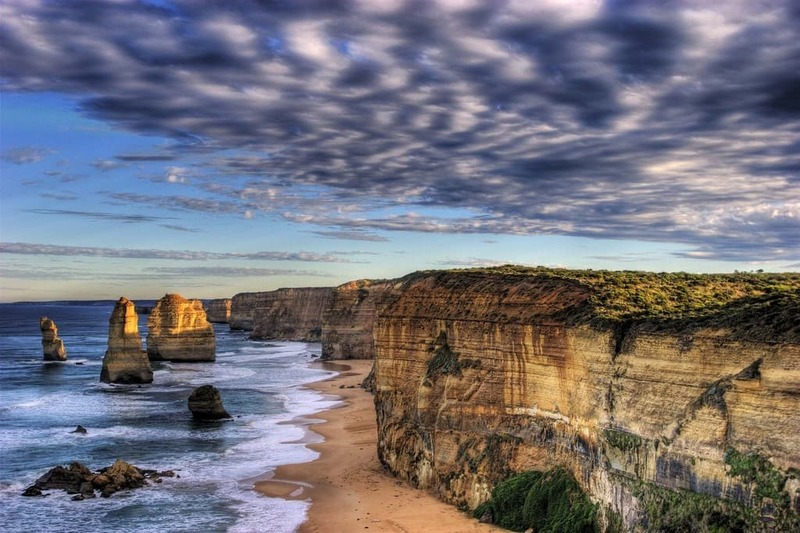 Currently there are eight apostles left but the name remains significant and spectacular especially in the Australian tourism industry. 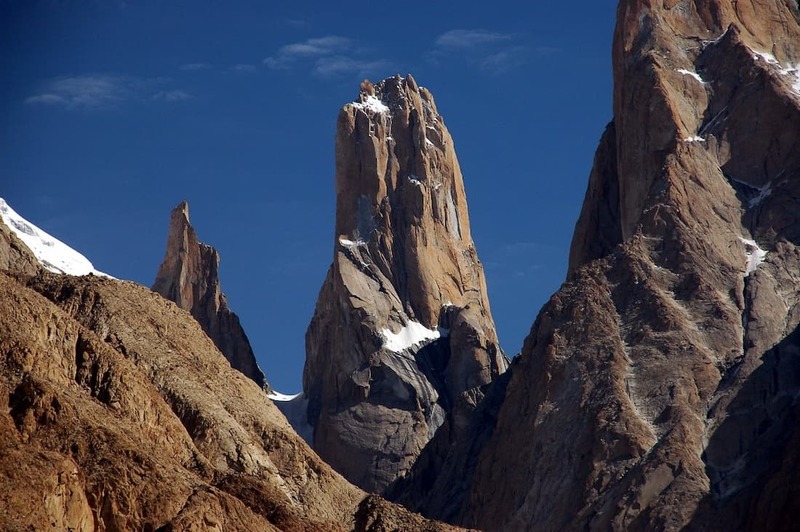 The Trango Towers is family of world tallest rock towers located in the north of Baltoro Glacier, in Baltistan, a region of the Gilgit-Baltistan territory in northern Pakistan. Every year, a number of expeditions from all over the world visit Karakoram to climb the most challenging granite cliffs. The Towers offer some of the largest cliffs and most challenging rock climbing in the world. The highest point in the group is the summit of Great Trango Tower at 6,286 m (20,608 ft). The east face of the Great Trango Tower features the world’s greatest nearly vertical drop. Preikestolen or the (pulpit rock) is a mountain formed like a huge pulpit towering over the Lysefjord in Rogaland, Fjord Norway. It consists of a steep cliff which rises 604 metres (1982 feet) above Lysefjorden, with an almost flat top of approximately 25 by 25 metres (82 by 82 feet). 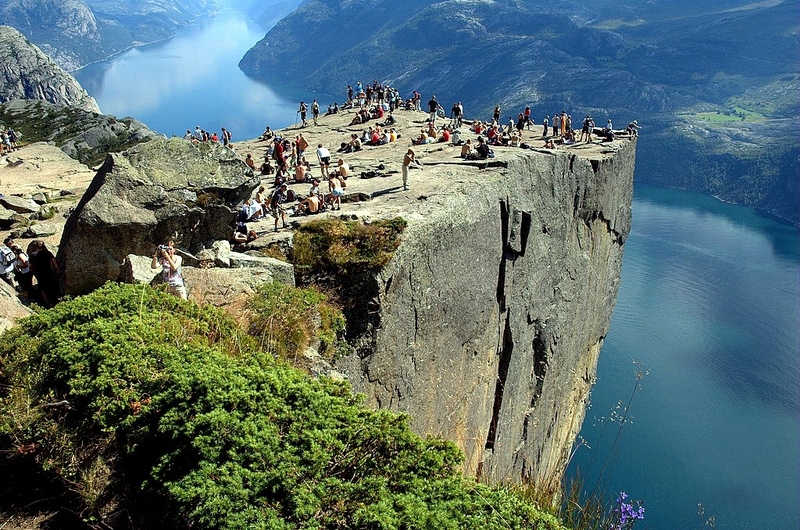 Preikestolen is a growing tourist attraction, only accessible via a 3.8 km (2.4 mi.) hike. 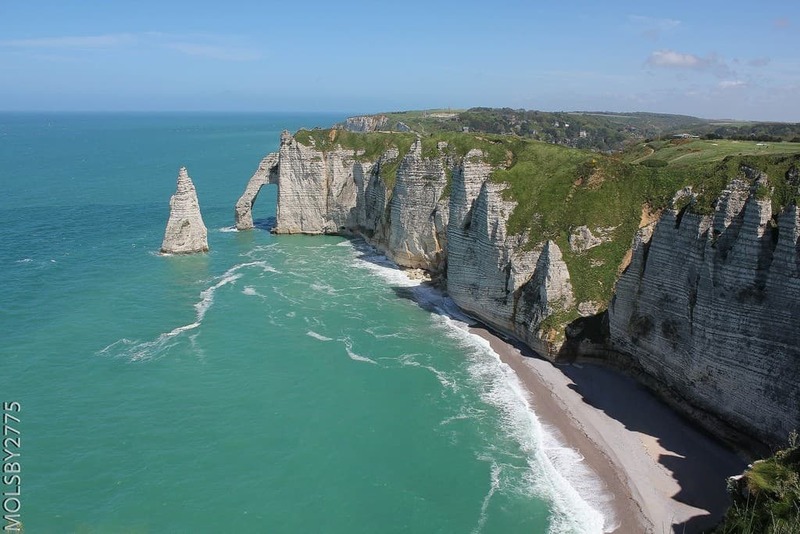 Étretat is a small coastal village best known for its spectacular cliffs, including a famous natural arch. The spectacular sea cliffs and the associated resort beach attracted famous artists including Gustave Courbet and Claude Monet. The pebbled beach, sparked with quartz geodes, is wrapped in dramatic cliffs eroded into giant formations and offshore needles. Two of the arches can be seen from the town, a third requires a walk at low tide. According to the Guinness Book of Records, these are the world’s highest sea cliffs—a 3,900-foot plunge from the top to seaside Kalaupapa village. The village is the site of a former leper colony. 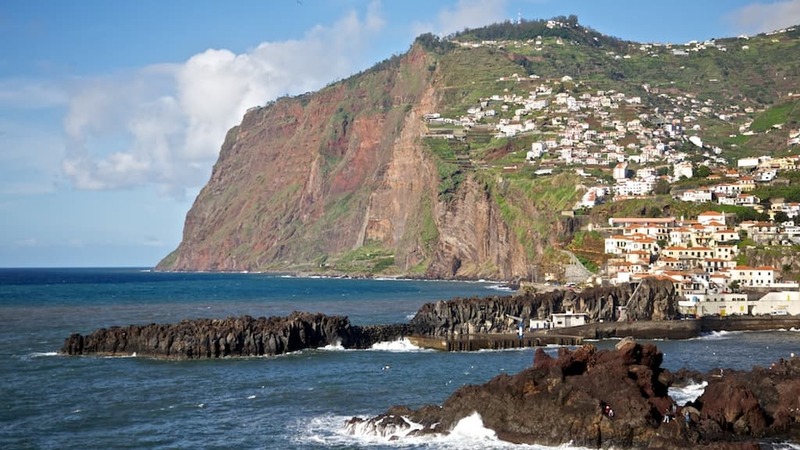 Views of these spectacular cliffs are featured in the movie Jurassic Park III. 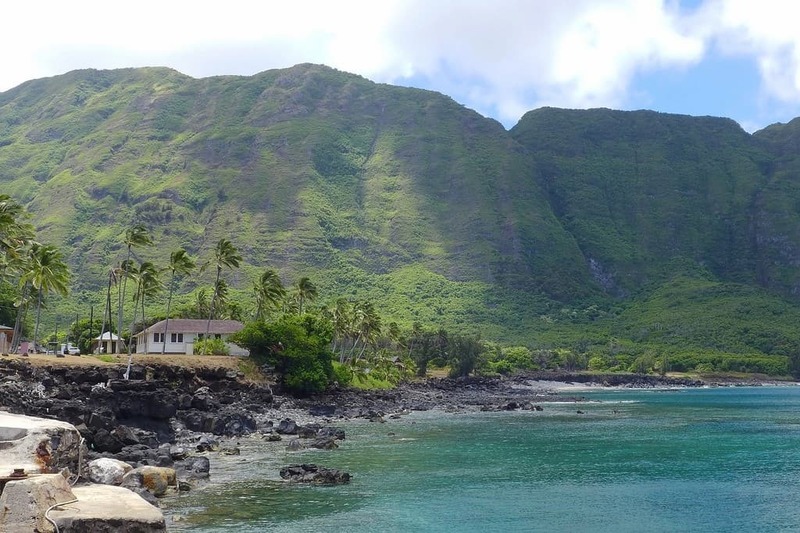 Because of the steep cliffs and surrounding ocean, Kalaupapa cannot be reached by car and visitors are transported by trail descending along the cliffs to Kalaupapa. Drakensberg Amphitheatre is widely regarded as one of the most spectacular cliffs on earth. They are part of the Royal Natal National Park. The Amphitheatre is over 5 kilometres (3.1 mi) in length and has precipitous cliffs rising approximately 1,220 metres (4,000 ft) along its entire length. 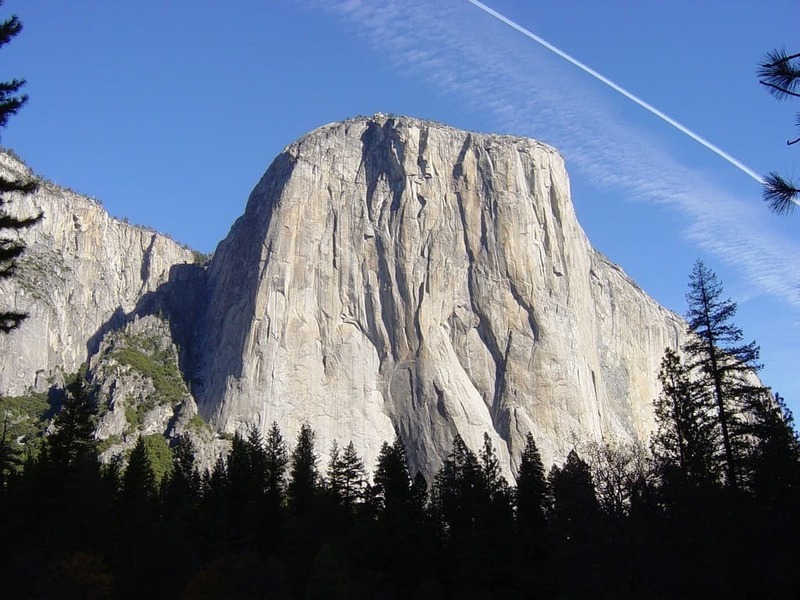 The cliff face of the Amphitheatre is roughly three times the size of the total combined area of all the cliff faces in Yosemite’s famous El Capitan. Drakensberg Amphitheatre features a beautiful hiking trail to the top and Tugela Falls, the world’s second tallest falls, plunge over 948 metres (3,100 ft)from the Drakensberg Amphitheatre’s cliff tops. 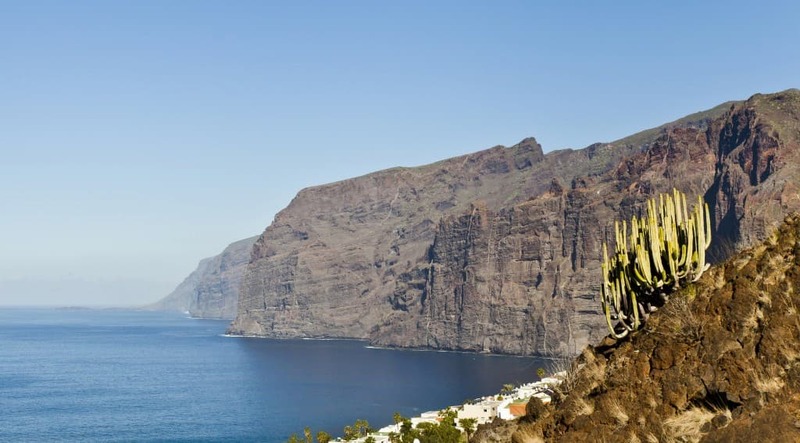 Created by an ancient volcano, Acantilados de los Gigantes or (the Cliffs of the Giants) tower 500 metres (1,500 feet) above the western shore of Tenerife in the Canary Islands. Narrow trails meander along the basalt cliff tops and down Barranco Seco to a secluded beach at the feet of the giants. It is the most visited and one of the largest (but not the highest) tepuis in the Guiana Highlands. It features Angel Falls, the tallest waterfall in the world, drops from a cleft near the summit. The falls are 979 meters (3,212 ft) high, with an uninterrupted descent of 807 meters (2,648 ft) — a drop nineteen times higher than that of Niagara Falls. 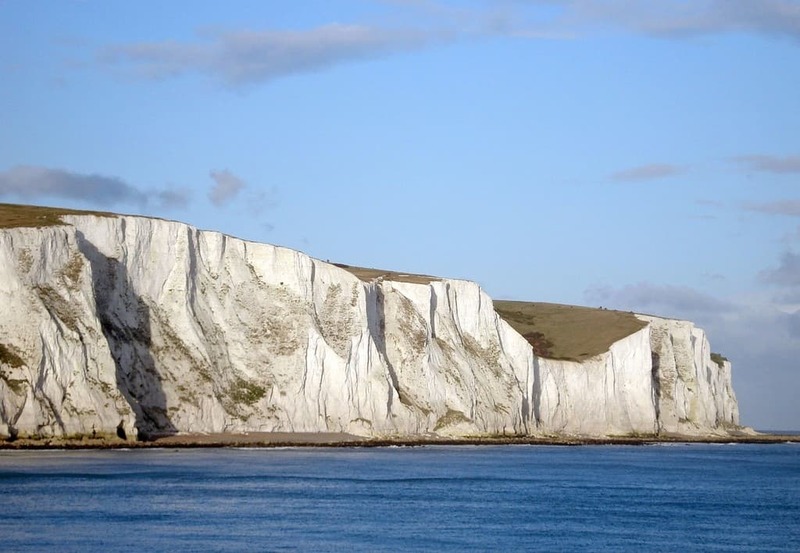 A towering symbol of Britain’s physical and emotional detachment from the rest of Europe, these spectacular cliffs wrap around the southeast coast between Dover and Deal, facing toward France 20 miles across the English Channel. The striking color of the 350-foot-high cliffs derives from white chalk streaked with black flint. The Vermilion Cliffs are made up of deposited silt and desert dunes, cemented by infiltrated carbonates and intensely colored by red iron oxide and other minerals, particularly bluish manganese. They are in the physiographic High Plateaus Section and Canyon Lands Section of the Colorado Plateau Province. Cliffs of Eysturoy look like something out of an epic fantasy movie like “Lord of the Rings”. 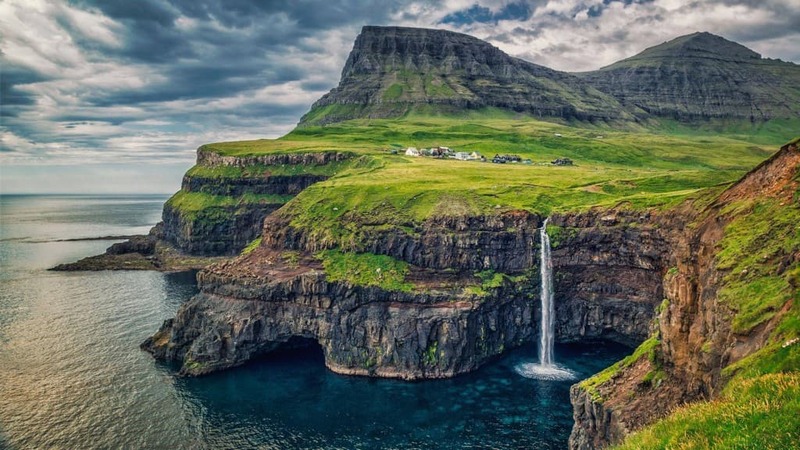 Cliffs of Eysturoy are located on the second biggest Faroe Island and feature some amazing scenery and waterfall. The granite monolith extends about 3,000 feet (900 m) from base to summit along its tallest face, and is one of the world’s favorite challenges for rock climbers and BASE jumpers. If you know of any other spectacular cliffs, please let us know in the comments below.